This entry was posted on September 29, 2011 by Russell Smith. 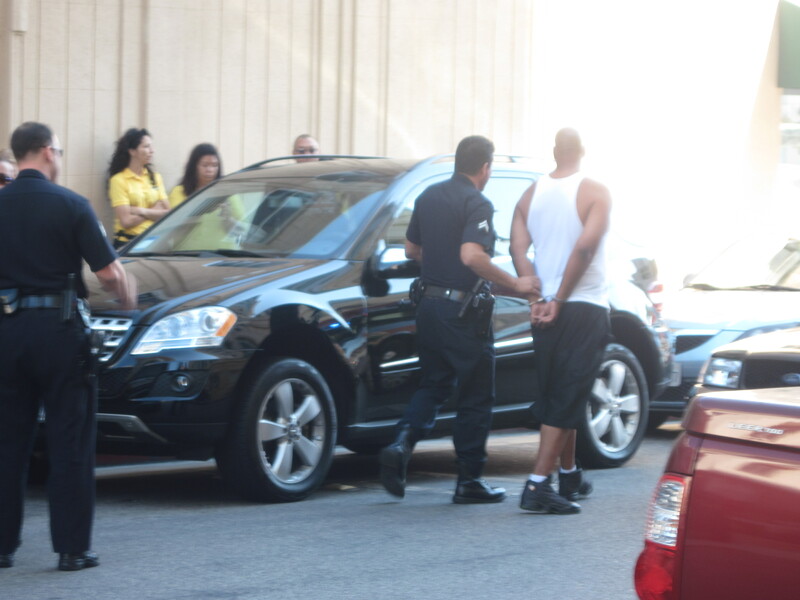 It was filed under Street, Urban and was tagged with arrest, cops, handcuffs, police, postaday2011, Russell Smith. Exactly! Go straight to jail. Sad, sad, sad. welcome to hollywood, where you entertainment is our top priority. enjoy continuous “reality” entertianment. Hollywood Chamber of Commerse has gone the extra mile for our visitors. 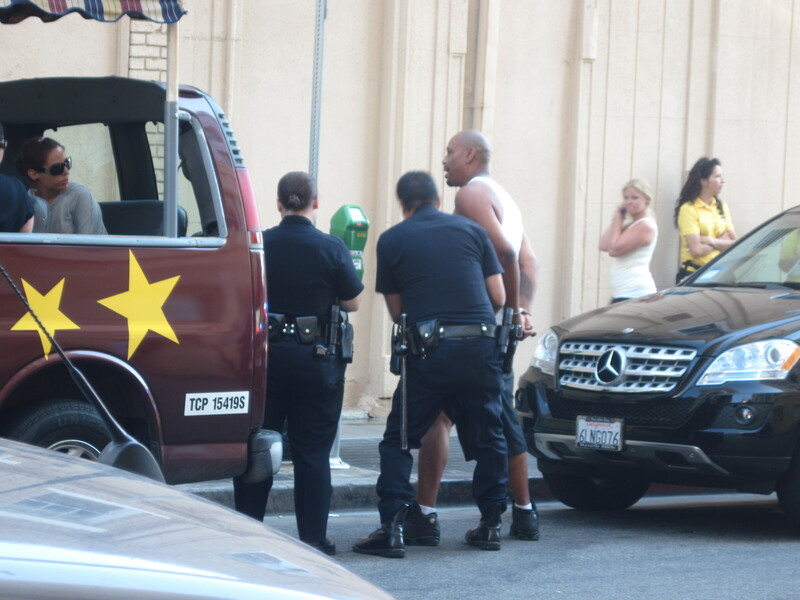 Working with the renowned Seattle coffee company, we made sure Starbucks was just 1/2 a block from the tour bus company, ensuring that Hollywood PD is always a few yards away from great photo ops. Reality vacation momwnts that will make you the envy of everyone back home the minute you post them on fb!